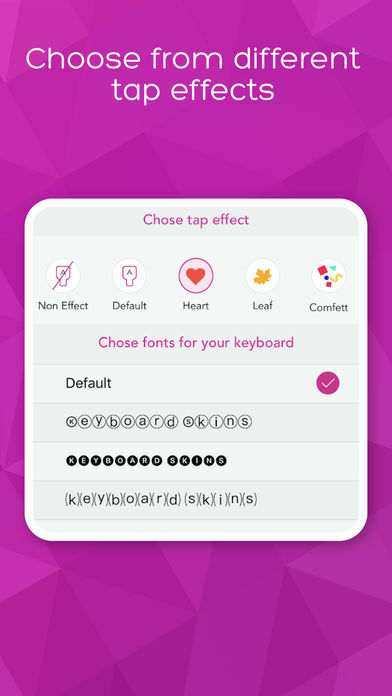 The app installs keyboard extensions with cool, polished designs that will change the standard iOS Keyboard Colors. You can switch back to existing native keyboard anytime. 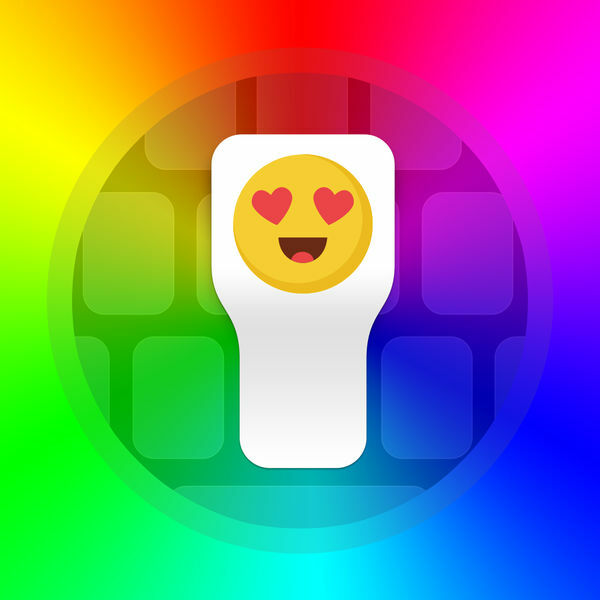 Keyboard Skins supports English, Georgian, German, Russian and Filipino keyboards. Awesome new experience is Shortcuts function. 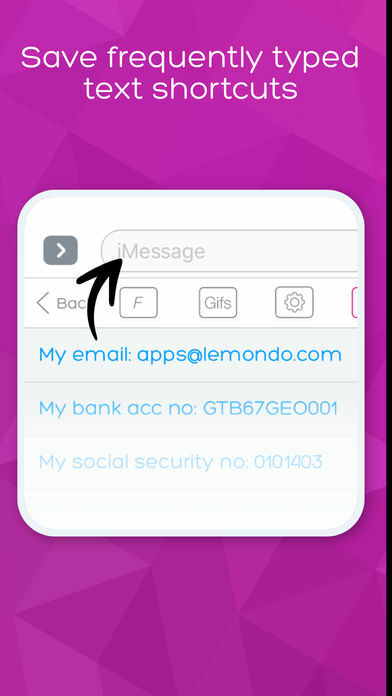 To make life easier, you can save frequently typed info once, and use them right from the keyboard. E.g. Bank accounts, Personal ID’s, Email addresses and etc. Have you ever created your own keyboard? Now it’s possible with built in Keyboard Skin maker. Just import or take picture and that’s it! 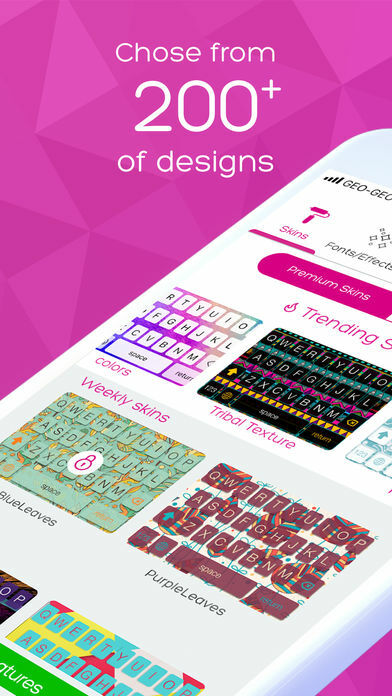 Get the new keyboard designs and fancy look for your iPhone or iPad with all aforesaid features now. After adding Georgian, German, Russian and Filipino, users can switch between 2 languages by swiping on the keyboard up or to the left. 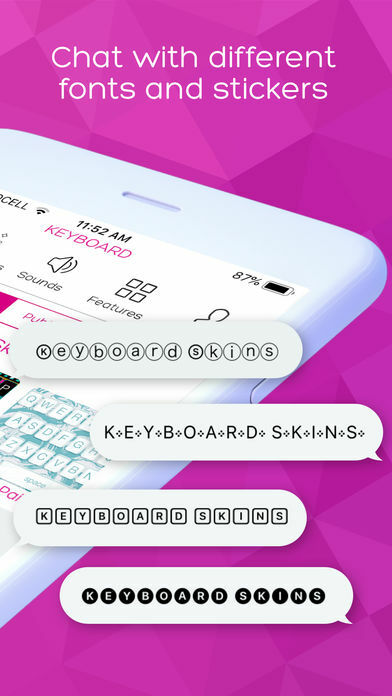 Keyboard Skins is fully compatible with native messaging app and all major messaging apps including Viber, Whatsapp, Twitter, Skype as well. Even more personalization available by replacing the standard typing sound with new ones bundled inside app. The app works perfectly with all models of iOS 8 and later devices. 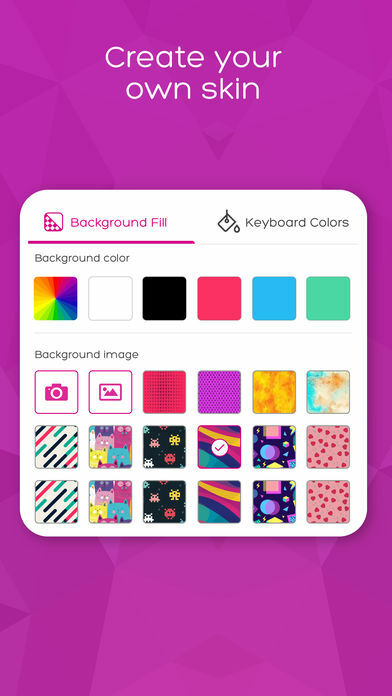 The app offers up to 150 different keyboard skins. Popular skins are free, some skins are locked and are available through in-app purchase. You can get Pro features through auto-renewing subscription and if you want to continue getting premium features, your subscription should be continued. – 3-month Pro features subscription costs $1.99 monthly after 3-day free trial. We want to hear your suggestions, likes, complains.. Please leave your feedback, rate us on the AppStore or use the contact link to stay in touch.